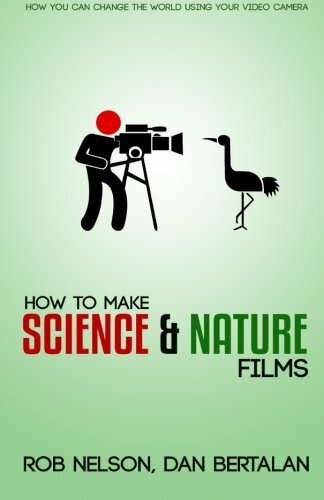 This book is an introduction to the world of science and natural history filmmaking. Most books on filmmaking discuss ways to become an independent filmmaker. Yet, working in science and natural history is unique. This book fills a void in education in this field. It gives insight about getting into the industry via National Geographic and Discovery as well as breaking into the world of Youtube. To make science films in any of these venues you need a recipe for success. This book helps you make your own recipe depending on your goals. Rob Nelson is a scientist turned filmmaker. He has a masters degree in behavioral ecology from the University of Hawaii and a masters in Science and Natural History filmmaking from Montana State University. Dan Bertalan is a geologist turned professional filmmaker. Together they have produced nearly 800 science shorts online and recently won and Emmy for their PBS documentary "Mysteries of the Driftless."